Premium Listing: $150.00 for 60 days. Listing includes, Logo, Event Description, Dates, Phone Number & Link to your event page and one press release. Free Basic Listing: includes Name of event and non-linking web address. If you choose our Premium Listing, please have your billing information along with your listing sent to Events@AlgaeIndustryMagazine.com. All payments via PayPal in advance of posting. …will bring together key players within the algae industry including leaders from food, feed, nutraceuticals, pharmaceuticals and cosmetics across the globe. 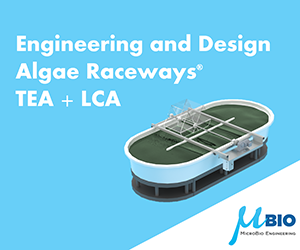 The event will bring together senior executives and experts from the algae industry, consultants, technology innovators and leading market analysts to discuss the latest challenges and developments within the industry. The EUBCE combines one of the largest biomass science and technology conferences with a high quality industry exhibition, attracting biomass professionals from around the world. …will bring together senior representatives from the biodiesel, renewable diesel and HVO industries to discuss the latest market advancements, developments & business opportunities. June 17-19 International Conference on Algal Biomass, Biofuels and Bioproducts. 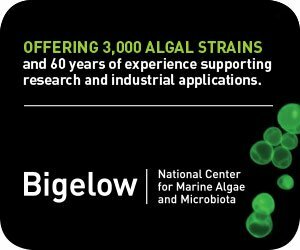 AlgalBBB places a major emphasis on the latest unpublished technical and scientific results, along with discussion and direct interactions with strategic partners, funding sponsors, and leaders in the field. In this comprehensive four-day workshop students will get three days of hands on Artisan Spirulina farming, learning the French cultivation method. Workshops are capped at 6 students. 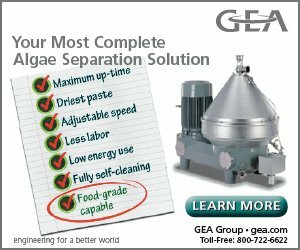 This marks the 13th annual staging of the world’s largest algae conference and trade show, and its first return to Florida since 2013.